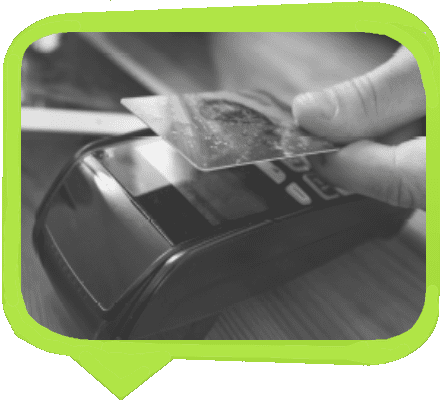 Retail Overdraft - flexible cash advance solution ideal for businesses with a high volume of customer card payment and transactions, such as those firms operating in the retail and hospitality sector. Do you accept card payments for your goods or services? We know that sometimes a typical loan doesn’t match your needs or business model. A cash advance solution provides you with an alternative option. When you choose to work with the GIC Capital team, we give you a fast decision on receiving a cash injection based on a retail overdraft agreement, providing you with the flexibility you need, and connecting you with our carefully selected lenders that can meet your needs. Our Retail Overdraft service provides you with a capital boost without the typical time consuming red tape or restrictions. It’s perfectly suited to businesses that have a high volume of customer card payment and transactions, such as those firms operating in the retail and hospitality sector. Rather than having restrictive monthly payment obligations, you’ll pay a percentage of what you earn, improving cash flow. We’ve designed our Retail Overdraft option to be as simple as possible for you, making the process from application to payment seamless. When you apply for our Retail Overdraft service, we’re clear and transparent from the start, so you always know where you stand. You’ll only need to make repayments on your cash advance when your customers pay you, it gives you improved flexibility and helps you to meet your repayment obligation. We know that every business is different, and our adaptable cash advance sums reflect that. You can borrow from £3,000 to £500,000 depending on your current circumstances. We’re upfront about the agreed percentage our partners take of your card sales, typically ranging between 8-15% until you’ve fully repaid the cash advance. Our service allows you to instantly benefit from the additional cash within your business without the usual credit requirements or rigid monthly repayment terms. Discover how your business could benefit from Retail Overdraft by filling in the application form below.